End of Days. 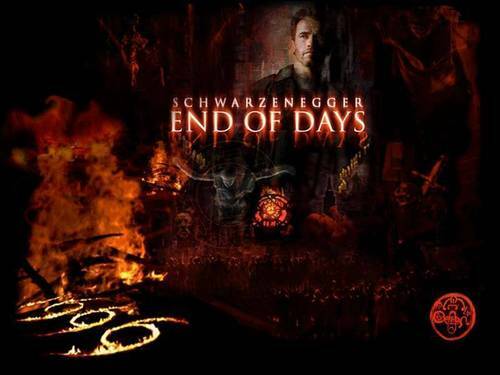 End of Days movie. HD Wallpaper and background images in the डरावनी फिल्में club tagged: horror films devil satan 666 arnold schwarzenegger gabriel byrne robin tunney end of days. This डरावनी फिल्में wallpaper might contain आग, आग, नरक, हस्ताक्षर, पोस्टर, पाठ, चॉकबोर्ड, साइन, and साइन इन करें.